Home Carolynne That’s a Wrap! The wrapping is prettier than the present! Image Courtesy of i_art_it via Instagram. 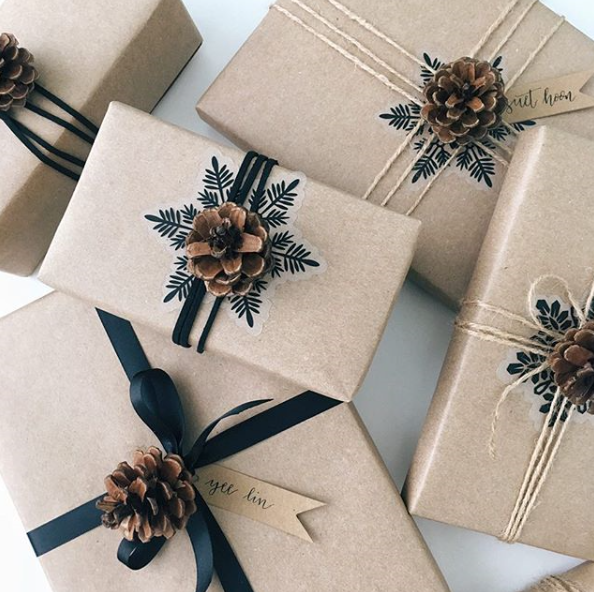 Think outside of the (gift) box when it comes to wrapping presents this year. Getting crafty with gift décor makes a chore like wrapping gifts fun and personal. 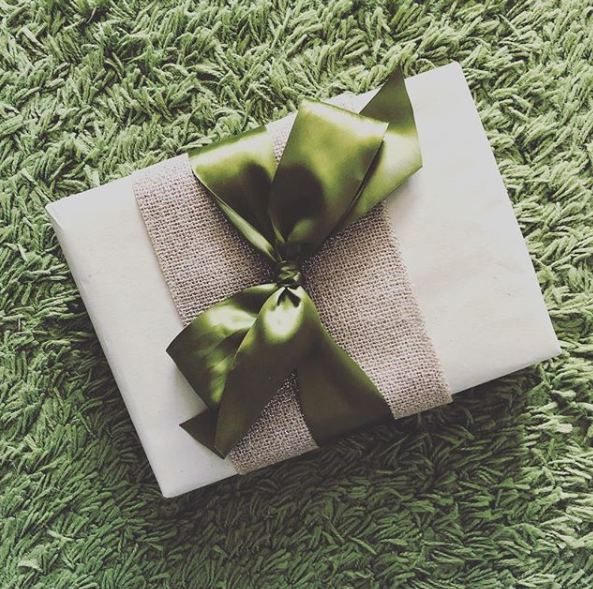 Wrapping can often be overlooked by people as they are eager to reveal what is inside, but with these transformations everyone will take a moment to appreciate the thoughtfulness and flair you have put into it. Use nature’s very own elements to give a rustic feel of Christmas by adding some greenery. Some type of greenery such as olive, pine, rosemary, bay leaves etc. Bonus: cinnamon sticks, pinecone, orange peel etc. Once the gift is wrapped, tie the hemp rode around and form a bow. To create a wreath, bend the leaves to form a circle and stick the ends together. Place it in the centre of the gift. Add a note near to the centre of the wreath. Place additional elements such as a cinnamon stick or orange peel, to give a nice and Christmassy scent. Lastly place the pinecone in the centre to complete the final piece. Image Courtesy of cindylee12 via Instagram. Give a gift a more personal touch. Everybody appreciates the thought and effort that goes into a collage. Cover it with photos of loved ones, or photos of their favourite places and things. Make it thematic! Create a parcel made of love and joy – to fill their Christmas with memories. Gather photos of the person or anything they love. Create a photo collage in a blank online document or print out each photo individually. Either wrap the paper around, or wrap a gift with plain paper and stick photos onto it. Tie a colourful ribbon around the gift. Now the person will receive a gift wrapped with memories and good selfies! Candy – Candy-canes, Gingerbread cookies, lollipops, chocolate etc. Tie the ribbon around the present to create a bow. Place the candy inside the centre of the bow, adding both a nice aesthetic feature and a wonderful act of sweetness! Next articleThe UEFA Nations League: What Next?